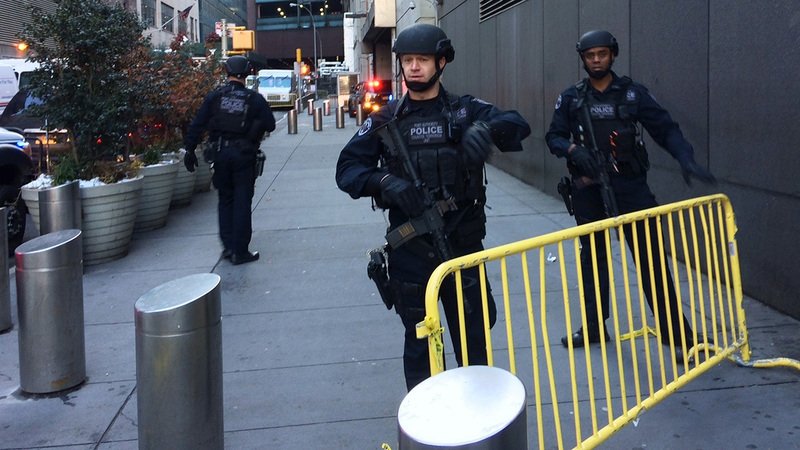 MIDTOWN, Manhattan -- Details are starting to emerge about the man believed to be behind the pipe bombing at the Port Authority Bus Terminal Monday morning. The explosion, which happened around 7:30 a.m. in an underground passageway under 42nd Street between 7th and 8th avenues, triggered a massive emergency response by the NYPD and FDNY both above and below ground, tangling subway and bus service. Authorities described it as a terror-related incident. The suspect has been identified as 27-year-old Akayed Ullah, who is from Bangladesh and has been in the country for seven years. He reportedly lived at an address in Brooklyn. He was severely injured in the apparent suicide bombing attempt, and he was taken into custody at the scene and transported to Bellevue Hospital. He appears to have been wearing a low-level explosive device. He was stripped of his clothes to remove it. Several people were hurt in the explosion, but all the injuries are said to be minor.